We are happy to announce another publication from Gi2MO project – “The road from community ideas to organisational innovation: a life cycle survey of idea management systems“. Contrary to the previous ones, this publication is less connected to Semantic Web topics and is more of an introduction to Idea Management Systems. In particular, we present our take on the concept of idea life cycle and the results of research on data dependencies created during different stages of the life cycle. If you follow the updates on Gi2MO website carefully, you will notice that the article is a significantly extended version of what we have posted before in our Model section when talking about ontology deployment. 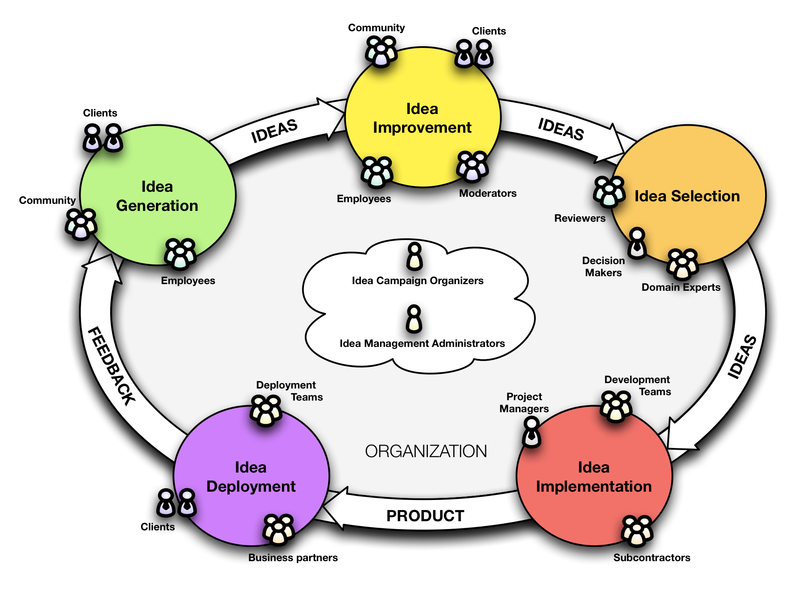 The concept of Idea Life Cycle in Idea Management Systems. The paper has been published by Inderscience in a special issue of the International Journal of Web Based Communities. You can get the full paper in a pdf format from our server or if you wish to see the entire journal volume head over to the publisher website.